The Mysteries of the Rosary are designed to help focus our prayer on the life, ministry, and Passion of Our Lord. Pope Pius XII described the rosary prayer as "the compendium of the entire Gospel." 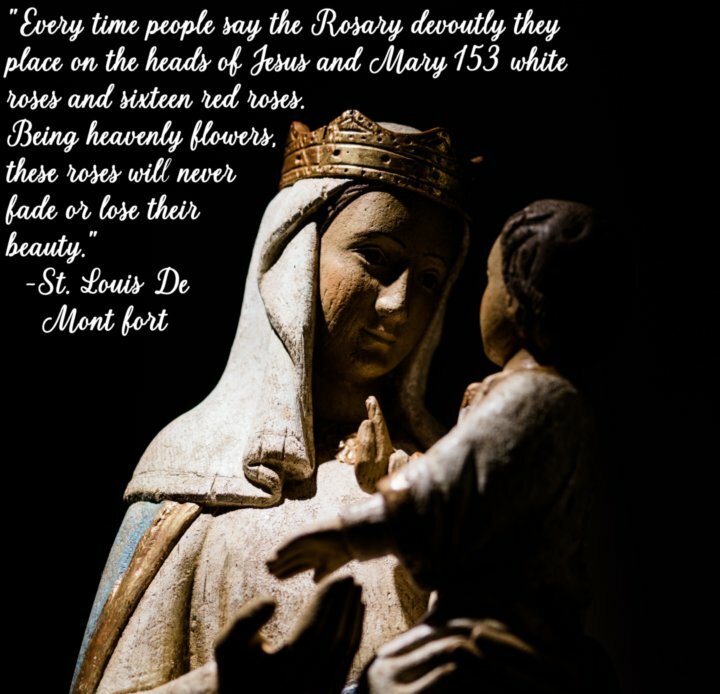 There are four rosary mysteries (Joyful, Sorrowful, Glorious, Luminous) and five parts of each mystery which correspond to the five decades of the rosary. The Joyful Mysteries focus on the joyful events related to the Incarnation of Jesus Christ. The Sorrowful Mysteries focus on the sorrowful events related to the Passion and Death of Jesus Christ. The Glorious Mysteries focus on the glorious events related to the Resurrection and the reigning of Christ in heaven with Our Lady. The Luminous Mysteries or mysteries of light (added by Pope St. John Paul II) focus on the life and ministry of Jesus Christ. It is recommended that you meditate on the mysteries of the rosary based upon the days of the week. For example, on Mondays you will pray the Joyful Mysteries. With each of the five decades of the rosary you will focus on one of the five events that comprise the Joyful mysteries. On Tuesday you will pray the Sorrowful Mysteries, and so on through the rest of the week. This method was recommended to the faithful by Pope St. Joh Paul II. Meditating on the life of Christ with the prayers of the Holy Rosary through the intercession of the Blessed Virgin Mary—is a sure way of growing in faith and in your understanding of the faith, deepening your relationship with Christ, increasing in holiness and virtue, and avoiding sin.